And we aim to make it an investment that pays a handsome ROI in a reasonable period of time. We use several different strategies that can be employed individually or as part of a complete digital marketing services package. Your goals and your budget will dictate what strategy is best for your business. 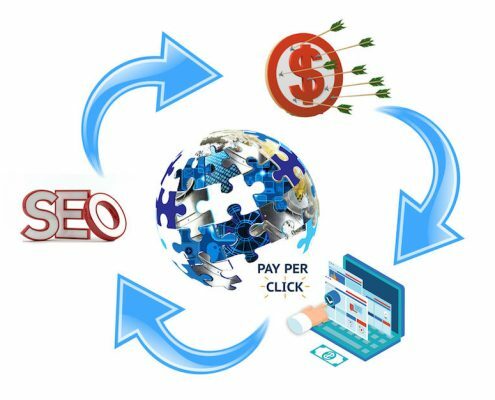 The principal focus of DizzyWeb SEO is doing the Search Engine Optimization for the websites and online properties of our clients, but we fully understand that this is only one component of a complete Digital Advertising campaign so we provide the Digital Marketing Services to make a complete campaign. While SEO is easily the most important pillar of online marketing it can be augmented with a few features such as pay per click (PPC) and Retargeting. Get Started With DizzyWeb SEO Now. If DizzyWeb Digital Marketing Services are right for you we will respond with a video analysis. Digital Marketing Services That Plan to Put You Ahead of the Competition. Every business that wants to have their product or service seen online will need to perform Search Engine Optimization or place paid advertisements with the search engines like Google. At DizzyWeb SEO we can execute each in isolation or, for best results, combine several methods at the most advantageous time. We do this to get your business the best results for every dime it allocates to marketing. We can Manage your PPC ads, set-up and monitor a retargeting campaign while we do the tasks that are needed to get you ranked higher in the search engines. Organic search traffic is the most long-term, sustainable, and profitable ROI, but combining other digital marketing strategies will add to your business reach. 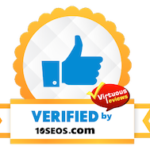 The traffic to your website via properly executed SEO work is of the highest value because it is composed of individuals, within your service area, searching for those products that your business offers. However, because Google is making constant changes, it can take several months for a good SEO Agency to rank a website if the keyword targets are highly competitive. So why not run PPC ads while the organic rankings grow? These Ads can bring in new traffic immediately. Then, if desired, the paid ads can be terminated when the organic traffic starts coming to your website as a result of the improved SEO ranking. Retargeting Ads are another layer to stack on your marketing success. After all, only 2% of web traffic converts on the first visit a site. This means managing the retargeting options available will help convert those who previously visited your website into sales at a later time. As more of new traffic finds your website via organic searches (due to DizzyWeb SEO services) and Pay Per Click ads, more value is gained by retargeting ads. These Digital Marketing Services give your business a one-two-three punch and an ROI keeps you one step ahead of the competition. Still not clear about these Digital Marketing Services? Quality of traffic. All the visitors in the world will be useless to you if they are coming to your site because Google tells them you’re a resource for roofing supplies when you are actually a chimney sweep, that is not quality traffic. Instead, you want visitors who are searching for products that you offer. Quantity of traffic: Once you have the right people clicking through from those search engine results pages (SERPs), more traffic is better. Organic results: Organic traffic is any traffic that you don’t have to pay for. The people who find you via terms that they search for and then click on your website or offer. In short, it serves your branded advertisements to people who have already visited your site. If done properly it will make you more money than any other type of paid advertising online, but you will need traffic to your website first, and that is why it is the perfect bedmate for SEO and PPC. For most websites, only 2% of web traffic converts on the first visit. 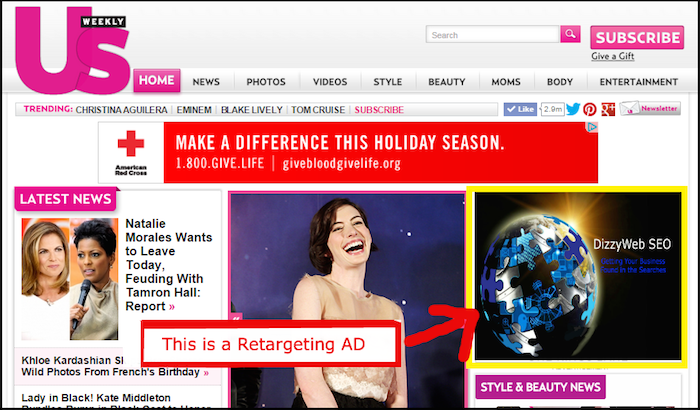 Retargeting is a tool designed to help companies reach the 98% of users who don’t convert right away. By placing a small, unobtrusive piece of code on your website, sometimes referred to as a pixel, (this is unnoticeable to your visitors and doesn’t affect site’s performance) you can run advertisements to people who have visited your website. Every time a new visitor comes to your site, the code drops an anonymous browser cookie. Later, when your “cookied” visitors browse the Web, the cookie will let your retargeting provider know when to serve ads, ensuring that your ads are served to only to people who have previously visited your site. The conversion ratio for people who return to your website is much higher, whether you are selling products or services on your site or getting people to Opt-in for future offers, retargeting can be a very powerful tool once you have traffic coming to your website. Pay-per-click marketing is a way of using search engine advertising to generate clicks to your website, rather than “earning” those clicks organically. This can be done on the Google Search Network, Display Network, and even in video format on site like Youtube. The search networks ads, often see at the top of Google’s search results page marked with a Green Box, are one of the most common form of PPC. In these cases, google will charge the advertiser a specific amount every time a user clicks on the Ad and goes to the page that the advertiser has established. This is just one type of paid ad. Contact us to learn more or check out our video’s in our Frequently asked questions section.